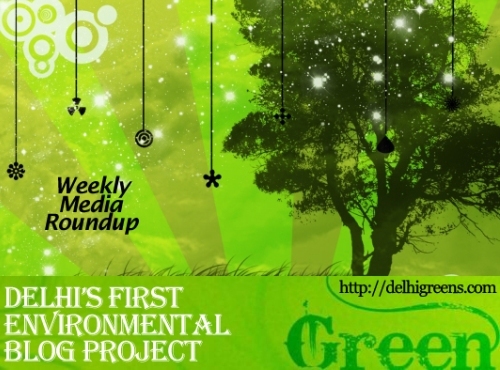 Weekly green news update from across different media networks for week 37 (between September 12 to 18) 2016. Clearing the decks for expansion of Metro rail projects to other cities and construction of dedicated freight corridors by the railways to boost industrialisation, the Supreme Court stayed the National Green Tribunal’s (NGT) orders mandating environment clearance for such projects. The growing menace of stubble burning in states like Haryana and Punjab, which is a major cause of air pollution in the national capital, today led the Delhi High Court to direct the government to ensure “zero burning” of bio-mass this year. Residents of Sukhdev Vihar recently filed an affidavit in the National Green Tribunal (NGT) alleging that the Okhla waste-to-energy plant violates the Delhi Master Plan 2021 and needs be shut down. Dry leaves and other waste have been dumped by North Delhi Municipal Corporation at the central park in Block B of Sector 18, Rohini, even though the park is frequented by residents of the area. A good rain this year has ensured early arrival of winter migratory birds at Okhla Bird Sanctuary, claim birders. The NGT had last year banned immersion of idols made from non-biodegradable materials like PoP or plastic in the Yamuna and had allowed only biodegradable material to prevent from it getting more polluted. Inland Waterways Authority of India has moved the National Green Tribunal seeking its nod for commencement of boat transport service on a section of Yamuna, prompting the green panel to seek response from Centre and Delhi government on the issue. The National Green Tribunal has asked Assam government to provide the exact number of animal casualties — road accidents at the Kaziranga National Park — so far due to traffic movement on National Highway-37 that passes through the home of the famous one-horned rhinos. The Ozone Cell of the Environment Ministry here celebrated International Ozone Day on Friday by awarding young schoolchildren for participating and winning in painting, poster-making and slogan writing competitions organised by the ministry. The Ministry of Environment, Forest and Climate Change has announced an ambitious collaborative research and development programme to develop next generation, sustainable refrigerant technologies as alternatives to HFCs. Friday’s stay by the apex court on the NGT order that made environmental clearance mandatory for Railways and Delhi Metro projects, will come as a relief for the agency. The Union transport ministry will notify the introduction of BSVI emission norms for all vehicles from April 2020, overriding a demand from auto manufacturers to push its rollout by five years. Lack of calibration of pollution-measuring instruments has been hampering efforts of the country’s pollution watchdog to come out with accurate data on air pollution. As Karnataka continues its legal battle over the Cauvery, the state’s capital–almost entirely dependent on the river–wastes half the water it receives, according to an IndiaSpend analysis of water-use data. The concentration of carbon dioxide in the atmosphere had been about 220 ppm (parts per million) about 11,000 years ago and 260 ppm about 8,000 years ago.